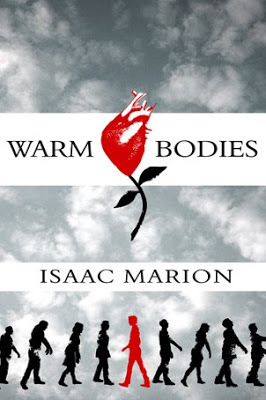 Warm bodies is an unusual story of love between a zombie boy and a human girl. There is humour, poking fun at zombies and there is tenderness that leaves you thinking about the story afterwards. The zombie boy, R, with whom I developed fondness and endearment for, is central to the story as he falls for the human girl, Julie. The entire story is told through him. Many people hinted that it is the Romeo and Juliet of post-apocalyptic times; R being Romeo, Julie, being Juliet, Perry being Paris and so on. Fortunately this story has a happy ending. It did leave me thinking a lot; about R, about the central theme of the book, which is the need to connect with other people and mostly amazement at how Isaac Marion came up with an unusual concept of zombie-human love story. It is a very good read, especially if you like rom-com. By the way, I wrote this in my other WordPress blog back in 2013. Since then, there has been a series, which include a prequel and sequel to Warm Bodies. Check it out here.